Brushing up for an overdue blog post, I spent a morning researching trends for 2014. What I found was a series of contradictions. 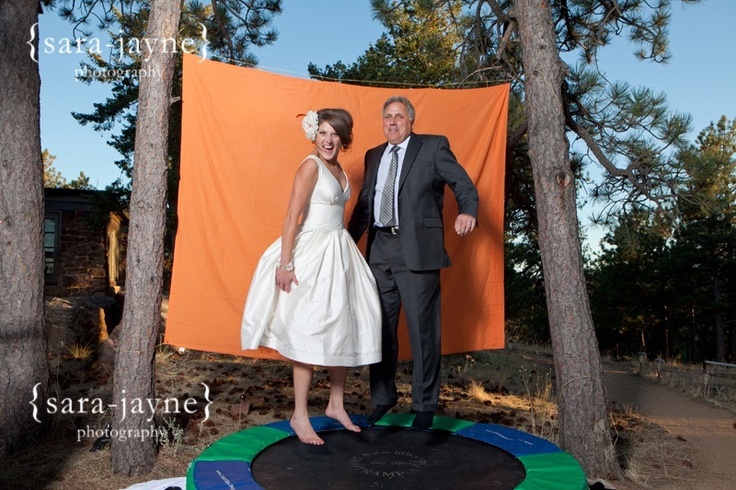 Wedding budgets are on the rise, with a trend toward “all nighter” weddings with features like trampoline photo booths. Hollywood inspired glam weddings (think Gatsby, formal portraiture, and hothouse flowers) are big right now, as are 90s themed weddings. Destination wedding booking at Mexico’s Riviera Maya are at an all-time high. Blush and pale pinks rule when choosing color schemes in 2014. “Supercharged” weddings seems to be a popular and current choice (custom hashtags, charging stations, insta-everything!). What does all this mean? To me, it says that regardless of the trends and the exploding wedding industry, there are as many kinds of weddings as there are couples planning them. Establish a budget and start planning the wedding that’s right for you! A happy couple is a happy party. How do you begin to pick a wedding date? You (or your daughter) probably have some idea of the time of year you would like to be married, but the time of engagement may dictate whether or not that will happen. For instance, dreams of a June wedding may not be realistic with a January engagement—not enough time for THIS June, and too much time til next. 1. What kind of wedding do we want? Religious or nonreligious? Large or intimate? Sooner or later? 2. How deep is our faith? Is a religious ceremony important to either of us? 3. Where will we do this? The bride’s home town? Where we live now? Our college chapel? 4. Who will pay? Are we OK with parental control, or do we want this to be all ours? As you can see, this will lead to some bigger conversations—make sure you have them! Regardless of how well you know each other and how deep your love and commitment, prepare to compromise. Following this conversation, several possibilities will unfold. *decide on a nonreligious ceremony, in which case you can start with reception venues and let them know you will also have the ceremony there. This is often the point where girlhood dreams get a dose of reality. This isn’t necessarily a negative. My daughter dreamed of a beach wedding at a relative’s remote beachfront home. But she also wanted a fairly big wedding with all her college friends, which didn’t mesh with the beach dream. She moved on, and because she met her fiancé in college and shared so many friends, they were married in their college chapel. Lovely! Discounted Wedding Gowns: Could 2014 be the year of sensible thrift? Last month, an episode of Shark Tank featured entrepreneur Jackie Courtney, asking for a stake in her used wedding gown business (www.nearlynewlywed.com). The male sharks, not surprisingly, didn’t really believe in the market. I do. Now I’m wondering, are today’s brides open to purchasing a barely used designer gown, curated of course, for oftentimes half the price as new? I have to believe that there are thrift-minded brides out there who approach the wedding planning project with a sense of challenge—how much can I save, so we can (a) have a better honeymoon (b) put a down payment on a house or (c) just because so much wedding spending is flat-out wasteful. Newly engaged ladies, consider this. By the time your first issue of Brides arrives in the mail, it will begin to seep into your consciousness just how much the dream dress costs. • The odds of your daughter wearing your dress are slim to none. Styles change and bodies are different. Rarely happens. 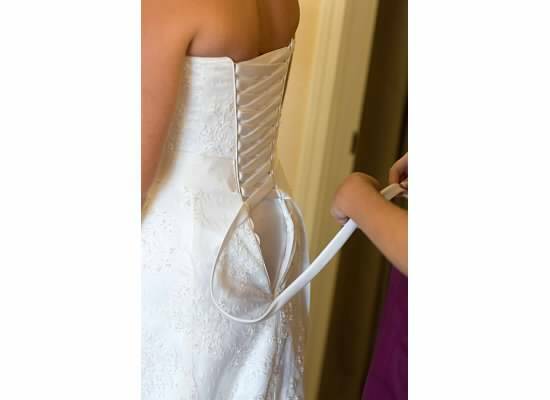 I know of just a few brides who have done this, and only one with success. • However beautiful your dream dress may be, be patient….. there are others out there, just as gorgeous, for less money! • At least look into a company like http://www.nearlynewlywed.com. Imagine that $7,000 dress for less than $3,000. Who the heck would know? • Consider selling it back. The pictures will capture to perfection the vision of you in your dream dress. • If you want to really embrace the Thrifty Bride idea, tell your family, bridesmaids and friends about http://www.renttherunway.com. Gorgeous designer frocks for rent. The best looking dress at my daughter’s wedding (other than my own daughters, that is) was worn by Cousin Val— a rented, and highly chic, black lace dress that drew the notice of every discerning eye at the wedding. Have fun planning, but keep yourself from falling off the crazy-spending ledge! The wedding day emergency kit— there are more than a few lists for brides out there (Philadelphia Wedding had the best one I found), but this one is more specific to you, the Mother of the Bride. While the bride may have her own idea of what an “emergency kit” looks like (usually just more makeup! ), it’s your job as her mother to “have her back.” And not only will you be the go-to source for your own daughter, you will be the one that every young woman at the wedding runs to when there’s an emergency! Stash these items, and anything else that you or your girl may need, in a small tote in the bridal suite. Whatever your venue, your coordinator or catering manager will find a place for you to keep necessities. Prepare for everything, and hopefully you’ll need nothing! 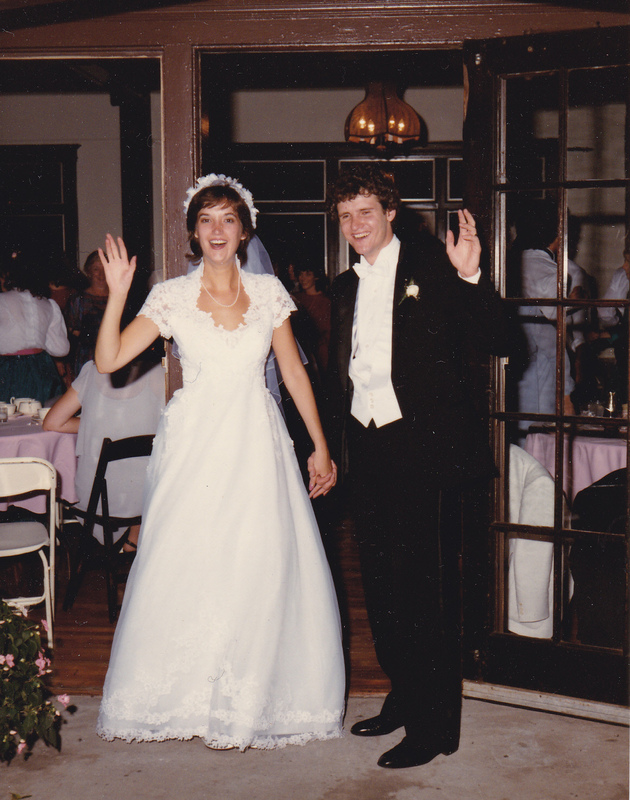 I was married 30 years ago today , so before we start celebrating this milestone, I thought I would blog about my own wedding– what was good about it (and probably still makes sense today), and what was bad– or even downright ugly about it. 1. My dress was $600, and I loved it! Love still how it looks in pictures. Unfortunately it just hung around, uncleaned in a closet until one day I just put it out with junk. My daughters have not cried over this. My veil was simple, and I was thrilled to lend it to a friend a year later. I don’t even remember where I got our flowers, but they were just fine. 2. We had 90 people at our wedding, which we primarily funded ourselves. I have no memory of agonizing over guest lists, and invitation choices were white or cream. Hand calligraphy though. I received gifts from people who were not able to come, which seems to be a point of etiquette that has gone out of fashion (though it shouldn’t). 3. The after-party (which I believe involved a keg and cups) was awesome! That’s all I can tell you. I do remember that a bunch of friends who were not able to come to the wedding had a great time at the after-party. 4. I really loved my shoes. Women just plain love shoes. I do wish I’d kept those, but I have no idea what I did with them. I bought them at Saks in the city, and had my wallet pick-pocketed the same day. 5. Opening our gifts and envelopes on our wedding night was a blast! We culled all cash to bring with us to St. Croix. We sent out thank-you’s in a timely fashion. 1. Well, it was HOT and HUMID, much like it is right now in the East. I only put this on the “bad” list because, even though it didn’t bother us, apparently it bothered everyone else because I hear about it every anniversary on facebook — “Happy anniversary! 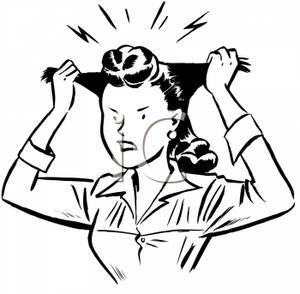 Wow, that was a hot one!” Our venue was not air conditioned and we figured on a breezy, humidity-free September day. Don’t count on the weather! It did, however, make our event super-memorable. For years we talked about one of my aunts bringing drinks out to my uncle, who would not leave his air-conditioned car. 3. The ice situation (see #1 above). 4. My wedding china. I did not give a hoot about china, so I let my mother bully me into choosing a pattern I have actually grown to loathe. Did I just admit that? Did I ever even NEED china? Is this an outdated concept? MOBs- don’t force your girls to register for china they don’t want. All in all, it was a great memory that has given us all kinds of reminiscing pleasure these past 30 years. For all you brides and MOBs out there, RELAX; soon it will all be a wonderful memory. Don’t sweat the small stuff! Mother of the Groom (MOG)….ahhh! As the mother of two sons I didn’t really knew what to expect when the first son announced that he would marry. Would I be invited to be an involved MOG or would I have to wiggle my way in any time the window was haphazardly left open? We mothers of boys do chat about these things, and believe it or not we do worry that we will be the odd woman out. 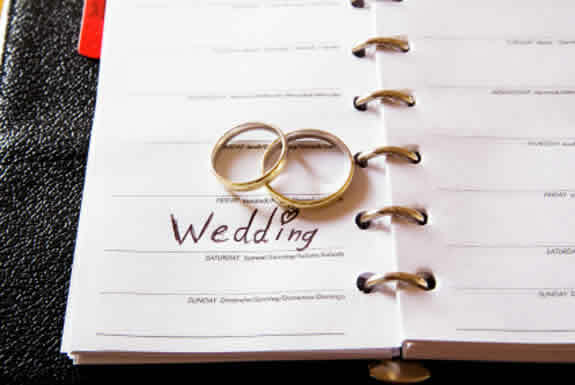 •Be thoughtful when establishing the wedding date. If you have always dreamed of a fall wedding and the brother of the groom is a college football player, a weekend in the fall could be difficult. •Don’t assume! I have seen several “lists” stating what the bride pays for and what the groom pays for. Sit down and talk about it. We all know that sometimes, in some circumstances, bride and groom paying for things really mean parents are paying. Be open, realistic and open-minded when having these conversations with each other and with both/all groups of parents. •Just what should the MOG wear? Again, have a conversation! If you know that your future MIL loves the Lily Pulitzer look and thinks it can go anywhere, anytime, reel her in early and make suggestions that would complement your color palette. Is it really detrimental to the wedding if she wears knee length or long? Must she wear her hair up? Let her know the most important aspects of what you are looking for and don’t sweat the small stuff. •Traditionally the parents of the groom provide a post-rehearsal gathering. If you know your future in-laws well, and trust that they will do a nice job no matter what, then let them offer ideas and let them run with it. Being from Italian descent, our DIL suggested a nice Italian Bistro. Perfect! •Who attends the rehearsal dinner? We had budgeted this as one of our big ticket items. Since all of our family and friends were traveling great distances to the wedding we invited all out-of-towners from both sides of the family. We provided a wonderful dinner venue that set the stage for a special weekend. •Don’t have wild expectations, but do be grateful. Several years ago, a MOG friend told me that the groom’s family pays for the honeymoon. Yikes! I had not heard that one before. So that we wouldn’t be caught off guard, we began saving for a honeymoon. Of course the couple planned the destination and we surprised them with the airline tickets and hotel. This was NOT expected, and I’m not sure it’s even really a “rule,” but the kids were very grateful. Being the MOG was a special privilege. I learned so much about weddings and my DIL. What a blessing she is. I know that I will be better prepared for the next wedding as it too will be a travel wedding once again. Thanks Bridemomma, for allowing me to post my perspective! How hard is it to drop a reply card into the mail? Top frustration of MOBs and brides! Yesterday I checked in with my friend Jamie, whose daughter is getting married in September. I asked her, “what is stressing you out the most RIGHT NOW?” This was one part shameless mining for blog material, and two parts that I really care because I know what she’s going through right about now. Jamie’s response: “My biggest wedding worry right now, which is totally stressing me out, is people not responding to the invitation!” She went on to say that the responses were due a week ago, and they still haven’t heard from 20 people. We experienced the exact same thing, down to the numbers. So what to do? First, when selecting your “respond by” dates, allow three weeks before the final count is due to your caterer. We allowed two, and it wasn’t enough. weddingwire.comsays three, and I would go with that. You want to minimize stress, not court it. Be ready too to deal with those who are not up on their wedding guest manners (because, oh, they live under a rock or something); these are the ones who ask if they can bring a child/new boyfriend/random date (whom you did NOT include on the invite). Polite and firm. You’ll get the hang of it!